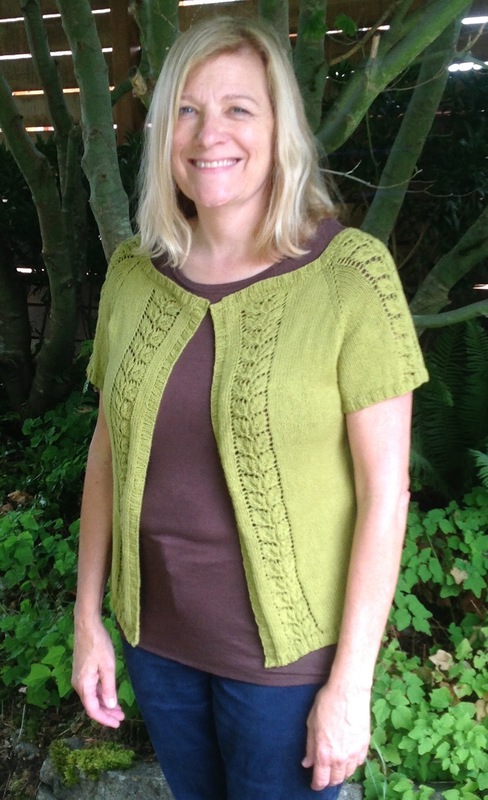 Marsha finished her Wispy Willow Cardigan by Cheryl Beckerich made with HiKoo CoBaSi. 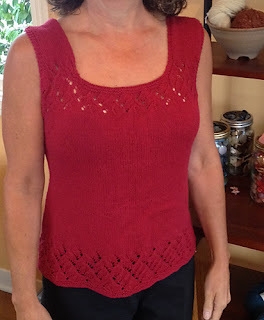 This is Marsha's first project with this yarn and the ewes talk about the differences and challenges in knitting with non-animal yarns. Marsha continues work on her Lanata cardigan by Amy Christoffers and has completed about 10" of the body. Plus progress is being made each game day on Marsha's Crackerjack Cowl. Go Mariners! Marsha is planning her next projects. 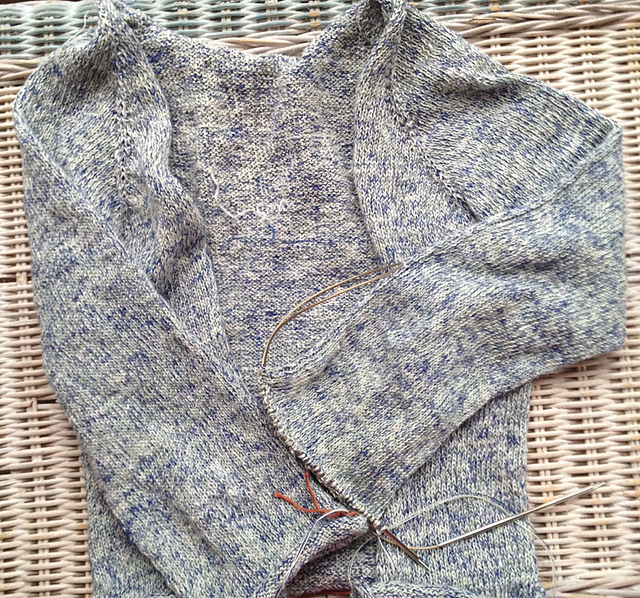 She has sweater quantities of two yarns and is looking for suggestion of cardigans to make. 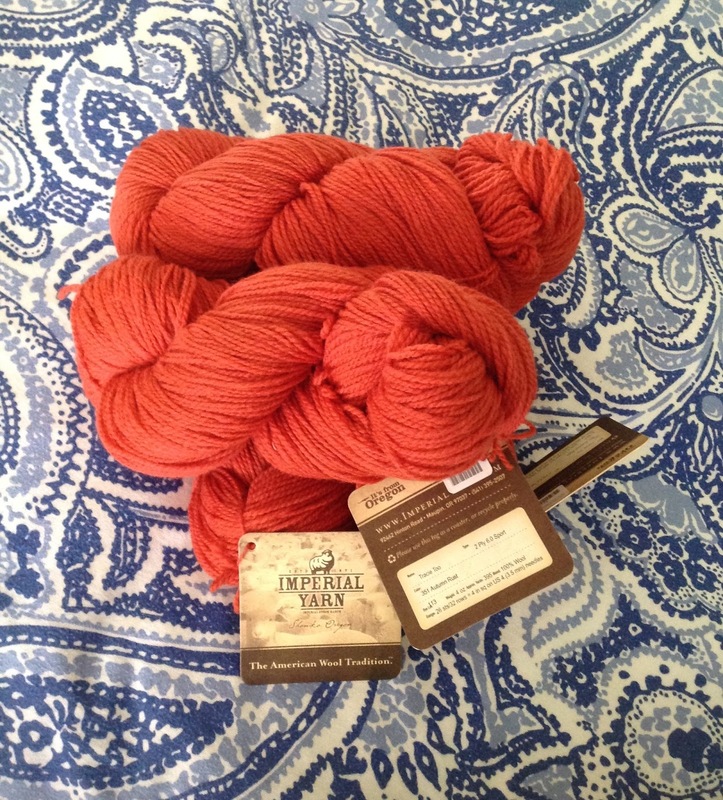 The first is Imperial Yarn Tracie Too in Autumn Rust. 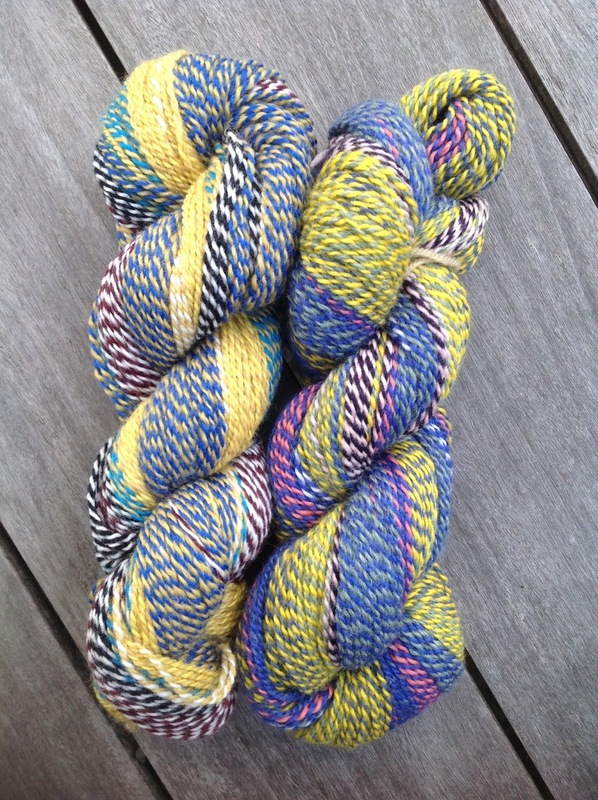 This is a sport weight yarn and Marsha has 1,580 yards. 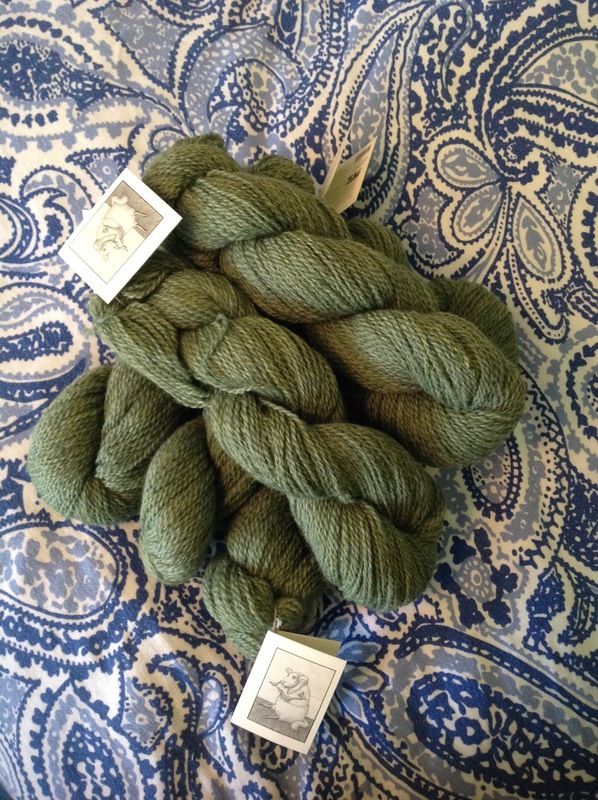 The other yarn is from Thirteen Mile Lamb and Wool Company. It is worsted weight in sage green and Marsha has 1,200. 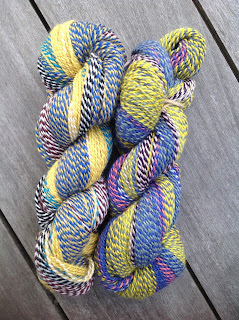 She has two skeins, or 460 yards of Stonehenge Fiber Mill in Crazy. 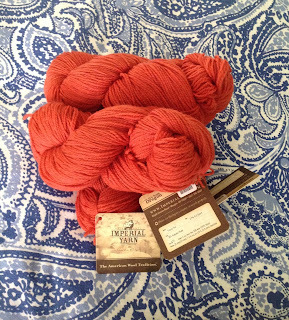 This yarn is made with mill ends, so no two skeins are alike. 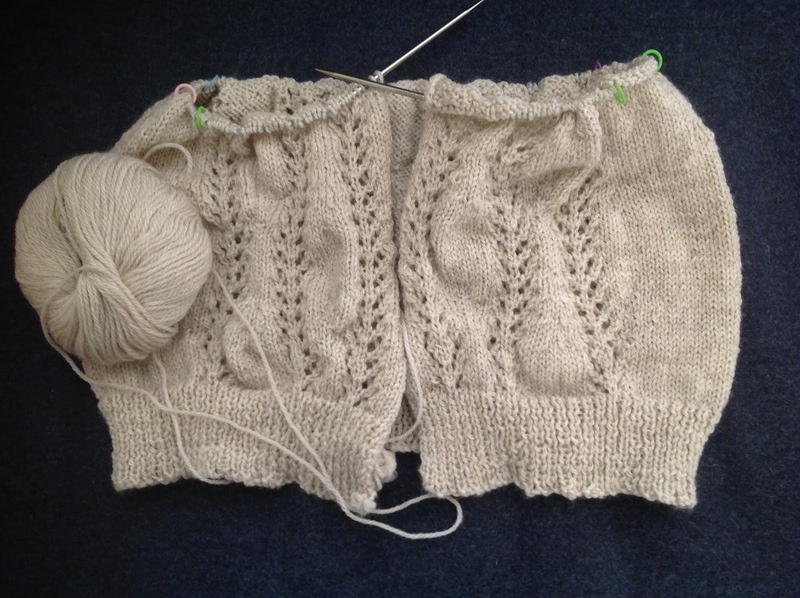 Marsha would like to make a scarf/shawl and is thinking of making Boneyard Shawl by Stephen West, Be Simple Shawl by Carolyn Glauz-Todrank, or 504 King West by The Knit Cafe Toronto. Kelly and Marsha will be attending the Monterey Fleece Auction at the Monterey County Fair on September 7th. Give us a shout if you will be there! Kelly will also be at the fleece judging on August 22, 9-4.